Hi. It’s Monica here. How’s it all going out there? Hope you have gotten over yesterday’s discussion about the wrong way to approach weight loss!! It was a bit graphic, I know. And…er, a bit…yuk! I guess I just wanted to contrast the unhealthy effects of some weight loss methods with other more self respecting and self loving ones, which I know can work. Basically, I am an advocate of approaching personal change (specifically weight loss) from a standpoint of positivity and life affirming attitudes. Some fad diets and quick fixes simply don’t do that. Anyhowzie…today I just have a bit of news about a new community which I have recently become a member of. I posted my first post for them a few weeks ago and it has been a real pleasure meeting other like minded people who share my approach to living a healthy life. They are a called Healthy Living Blogs and in case you happen to be someone who might also be interested in joining such a community, here is a short blurb about them, for your interest. Healthy Living Blogs is a new resource for the health blogging community. Created by Lindsey of Sound Eats, HLB is a site designed to enhance the positive community of the healthy living blog world. 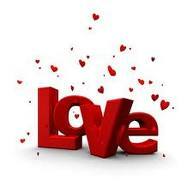 Bloggers and readers can explore the site and find more blogs to love, bloggers in their area, and forums to deepen healthy discussion and support. If you’re interested in having your site listed on HLB, simply send the following information to healthylivingblogs@gmail.com and check the site out for yourself! I post this information in the hope that some of the resources you might find at Healthy Living Blogs will help extend your knowledge or perhaps to clarify a solution to some specific issue you may be having on your weight loss journey. I am eager to help you in anyway I can…. The New Miracle Weight Loss Method, That I Don’t Like! Okay, so you don’t have to resort to this to lose weight. I mean come on!!! What next? Let’s just chop our fingers off, so we can’t pick up any food or maybe we could just sew up our mouths altogether, for a while. Sometimes, I think the world has gone crazy!! Why is it that changing your eating habits and getting more exercise seems to becoming the less chosen option? Especially when any extrinsic method applied or caused by the intervention of a doctor is only going to have short-term effects at their very best? Admittedly these interventions are mostly a last resort choice and I am sure many who end up taking this road have tried traditional weight loss methods previously. At least I hope so. Apart from the lack of effectiveness in the long-term (unless exercise and healthy eating become part of the patient’s overall lifestyle plan) the complications and side effects from these types of procedures are far more unpleasant and significant than is often publicized. Recently I was privy to a conversation with another author who has penned her experiences with lap band surgery. One of her stories has stuck in my mind ever since. It was graphic, a little disturbing and very unpleasant. So I thought I’d share it. Yes, nice of me, I know. May I suggest at this point, that if you happen to be eating as you read this, that you either stop reading or put the food away just for a minute. You’ll thank me later. Anyhowwww…..basically my friend described the fact that following her surgery she still frequently craved packeted chips (or crisps as they are called in some parts of the world) specifically tomato flavoured ones. One night coming home on the train, she could no longer control her urges and decided to purchase a packet, even though she knew that her new ‘stomach’, (the surgically shrunk one) didn’t really tolerate acidic or salty food anymore. At all. Only trouble was her new surgically altered gastrointestinal system had not communicated this fact to her non surgically altered taste buds (I don’t think the tongue mutilation thing had been invented then) and so, she indulged. This is where it gets messy. Very. Yes, you’ve guessed it. She vomited. And vomited. All over herself. Her clothes. Her handbag. The seat she was sitting on. She had no control. And being on a train, going home from work, there was no refuge in the form of a bathroom or toilet. She just had to wipe it off herself with tissues, feeling mortified, ashamed and stripped of every vestige of dignity and self-respect. Now I know this is an unpleasant little tale and I’m sorry if I’ve made you squeamish but somehow when I read about the tongue mutilation procedure and realised they were for real, I thought I had to write something here that would be a reality check for anyone who may have ever been tempted to do something similar. Call it my little protest. Or something. Anyhow, if you read here regularly or have in the past, then you will know that I advocate a method far more respectful of the human condition than any of the options I’ve talked about above. What I advocate is a method that transforms your heart and mind first and then your body and your behaviours. In my book, Reframe Weight Loss, I call it ‘The You Method’. It is simpler, far more effective and a darn sight more positive, pleasant and joyful than attacking parts of your precious body and destroying them. You are a magnificent creation. Believe that. Respect that. And you will have begun in a small but significant way the creation of the ‘new you’. What are your thoughts on weight loss intervention methods, whether they be the proverbial ‘diet pill’ or something more drastic like I have just described? Have you had any experiences that you’d like to share, maybe to help prevent others from making a similar mistake? Or maybe you are pro weight loss surgery and similar techniques? Why do you think people resort to these options? Have you ever been tempted? 1) Bloggers sign up and are put on a list. 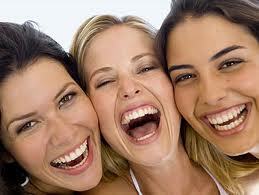 2) When the week begins we all visit and comment on each others blogs. Great idea!! 3) You read and learn about the experiences, thoughts, ideas and projects of others. Lucky it only goes for one week, otherwise I think I would lose myself in reading blogs and not get back to my own!! What can I say, people are fascinating. And enlightening. And kind. And sad. And intelligent. And …..okay, you’re right that’s enough, but I think you get my drift. Last time I participated in ICLW I wrote about my experiences in this post. Basically then I talked about the way I felt after reading so many blogs and hearing so many voices, many of whom were bearing their soul, speaking about loss, heartache and unfulfilled dreams and hopes. This time round my experience has been different. Perhaps there are ‘moods’ in the blogosphere or perhaps ‘phases’ where many people write with a similar tone or voice. I know this is unlikely to be the case, yet I am using this thought to explain the fact that this time round all the blogs I have visited have been upbeat, hopeful and positive. I have read them and came away feeling like I had visited a sort of ‘saviour blogger’ – someone who is ‘out there somewhere’ spreading peace, hope and good news or at least trying to. These people resonated with me, so I thought I would acknowledge them and their contributions to the positive good in the world, here. Thanks for being here!! Of course, it isn’t only the ‘positive bloggers’ I want to bring attention to. Some blogs I have read have announced that ‘this is not a happy blog’ right up on the home pages. I respect this and fully understand that blogging can provide great value in being a creative and even therapeutic outlet for people going through specific challenges . They allow connection and sharing with others who may be experiencing similar life circumstances. So what is my whole point in this musing of mine?? Well, I guess simply that blogging is GREAT. It is fascinating, friendly, enlightening, all-encompassing and full of opportunities to grow and connect. Are you a blogger? A ICWL participant? What has been your experiences with blogging? 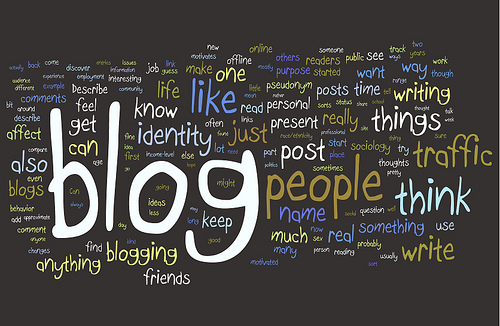 Do you write to express yourself or do you have another purpose, pursuit or goal in mind for your blog? Maybe you don’t blog, but have sometimes thought about starting one. Love to hear about it! Life outside of the blogosphere has been a little busy for me lately, so my post here today will be kind of brief (at least I’ll try to keep it that way, however no matter how I try, I never seem to meet that goal of staying ‘brief’. What can I say, I love talking!). Anyhow first up I just want to say thanks to the people who commented last week and congratulations to Talitha from pursuittoflagom.blogspot.com who won a free copy of Reframe Weight Loss. The book is soon to be shipped further into cyberspace and soon will be reaching a number of online retailers. So congratulations Talitha and safe travelling to my ebook! Apart from the above news, the other snippet I thought I’d share today is an extract from a book called The Power of Intention. I came across the particular paragraph by accident and immediately thought of sharing it here, due to it’s relevance and hopefully usefulness, to those of you on your weight loss journeys. I have paraphrased it a little but basically here is the paragraph as taught by Wayne Dyer. It is taken from a section in his book on self respect, specifically on respecting your body. “Regardless of it’s size, shape, colour or any imagined infirmities, you have been provided with a perfect body to house your true self…. You don’t need to work at being healthy; health is something you already have if you don’t disturb it. You may have disturbed your body by overfeeding it, under exercising it, overstimulating it with toxins or drugs, that make it sick, fatigued, jumpy, anxious, bloated or an endless list of maladies. I hope these few thoughts from Wayne Dyer give you some food for thought today. Take care of yourself and hope to see you back here in the blogosphere soon. What are your thoughts on the idea of health being something you already have if you don’t disturb it? Does this resonate with you? 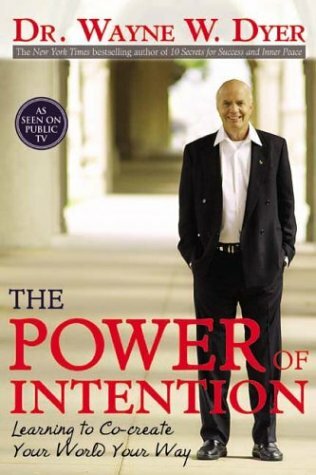 Do you have any thoughts about the book, The Power of Intention, that you would like to share? David moved closer and sat down. The intimacy of their physical closeness caused a faint shiver to pass over him and the small hairs on his arms joined with the goosebumps, in an electrifying dance across his skin. That was me ‘practice’ writing a third person dialogue scene. Confused? I guess you must be. I’ll explain a little. All this recent connection with some fellow ‘literary types’ has got me excited. And more keen than ever to continue writing not only about health, fitness and weight loss (subjects I am passionate about) but also across many other genres too. Why pigeon hold myself ? It might hurt. Anyhow, I do already have a romance novel manuscript (written several years ago) hidden in the drawers of my study’s filing cabinet. It hides where no self-respecting manuscript should really hide for long (the pages are starting to go a yellowy colour, like the old photographs you see in your grandmother’s house, that scream ‘please rejuvenate me’ before I fade away all together) . So this brings me to the point of sharing with you a recent personal discovery; that is, that I have feelings about the two books I have written – an affection of sorts – that has recently been rekindled and renewed. And I suppose I am just writing about this here (in my writer’s notebook..00ps, no I forgot, it’s a blog….) for the reason that any writer writes about anything – because I need to. The other reason is that it is Queensland Writer’s Week and the purpose of this week is to bring authors and readers together in a week-long celebration of all things literary. So what better way for me to celebrate this special week I thought than to give away a book. Specifically a copy of, Reframe Weight Loss. So that is what I am doing today. For your chance to win a free copy, all you have to do is take the minor step of leaving a comment here. I will then (over the weekend) chose one comment at random and send that person a special code enabling them to download their prize of a FREE COPY of Reframe Weight Loss from Smashwords. Okay, so ……are you ready to comment? Don’t be shy. It’s not that scary. Okay so let’s go – one, two, three……comment! Reframe Weight Loss, The Book, Is Having An Early Bird Sale!! Posted on October 13, 2010 | Comments Off on Reframe Weight Loss, The Book, Is Having An Early Bird Sale!! Have you given up on reaching your weight loss goals? In fact, never give up! Instead, why not give yourself a HUGE BOOST, a kick-start to the new you? Why not give yourself ONE MORE OPPORTUNITY to keeping trying – only this time with the help and motivation of a new companion tool to guide and support you – a copy of the new e-book, Reframe Weight Loss? The book is full of tips, strategies and tools to help you on your weight loss journey with a strong focus on issues of heart, mind and body. It will give you all the motivation you’ve been so looking for, lots of new strategies for combating and overcoming everything from mood related binge eating to understanding food labels. Hundreds of people have already grabbed their copy of the book and are already enjoying the benefits of this new and dynamic book. And now is the time to buy! Why? Because right now, TODAY, you can use this special coupon that I am about to give you and receive 20% off the RRP. 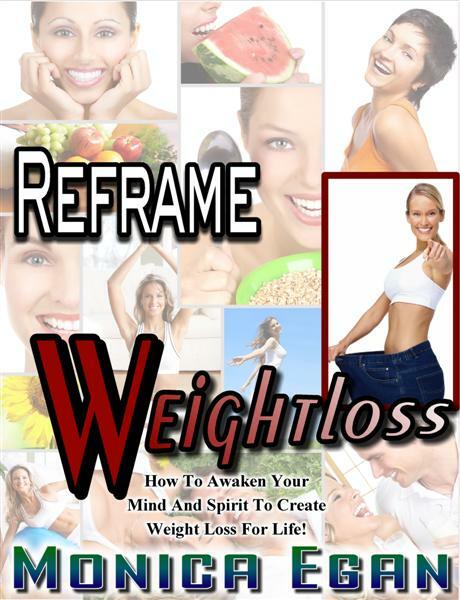 Right now, Reframe Weight Loss: How To Activate Your Mind and Spirit To Create Weight Loss For Life, can be purchased for just a crazy $7.99 by entering the code EL85R when ordering your copy here. Look I’ll be honest about this. I have asked many other e-book authors about pricing and ALL of them say I should be charging at least $29.99 or more for my book. They say I’m mad to offer it at a penny less than that! But I don’t want to. No, I don’t want to because I believe my book should be sold at a price that makes it accessible to everyone. Why should anyone miss out on getting a huge boost on their weight loss journey, just because of money? So no, I don’t really want to ask any more for it. But who knows? I may have to increase the price if only to cover my own publishing costs, eventually. I can’t be sure. All I can say is that, for now, the price is set at a very affordable $7.99, but it may not stay that way. In fact, this current offer of 20% of the present RRP will expire at midnight tonight. So be quick! Don’t miss your only opportunity to get this dynamic and life changing book at this early bird discount price! Go on !! What are you waiting for? Act now, before the price goes up!! Visit http://www.smashwords.com/books/view/26227 now to take advantage of this very special opening offer. Just think, in one week from now, your friends and family could be admiring and talking about the ‘new you’. The more motivated, determined new YOU. Don’t forget this offer expires at midnight, tonight. Just click on over to http://www.smashwords.com/books/view/26227, use your special coupon and grab yourself a copy, while the offer lasts. I know you won’t regret it!! Guaranteed! Comments Off on Reframe Weight Loss, The Book, Is Having An Early Bird Sale!! Weight Loss Books and Other Good News: My Ebook is Published! Posted on October 11, 2010 | Comments Off on Weight Loss Books and Other Good News: My Ebook is Published! Read any good books lately? OMG, that was probably a pretty lame segue wasn’t it? Oh well, I’ll roll with it anyhow. The truth is I don’t know if there is any particular or appropriate etiquette for giving your own e-book a plug, so thought I’d go with that! To be a little more straight forward however, MY EBOOK IS NOW AVAILABLE for purchase at www.smashwords.com/books/view/26227. The book is available now on the site and will shortly be shipped to all good online retailers including Barnes & Noble and The Apple Istore. Furthermore, as a BIG THANK YOU to my loyal readers and subscribers, I would also like to offer you an early bird discount coupon. The coupon code to enter in order to receive your 20 % discount is EL85R. Smashwords requires you to spend a few minutes to open a free account and then you can enter the code. I hope you are able to take advantage of this opening early bird special. ‎I have posed the question before on this blog, about whether or not weight loss and other self-help books can make a difference to your behaviours, your choices, your attitude and thus to your eventual success with weight loss and/or other endeavours? In my humble opinion, YES, they can. If that we’re not true for me, you would not be reading the words on this page right now ! 1) Lose weight to begin with (over 20kg). 2) Maintain my own weight loss and dramatically improve my fitness. 3) To write and publish my first book and start work on my second manuscript. 4) To offer people an experience away from their own weight loss groups, through which, they can further their personal growth, be supported on their road to positive change and be more inspired to reach their weight loss goals. I have wanted to do all this since achieving my own weight loss goals, but if it were not for some very powerful and insightful authors and books that have really resonated with me and touched my heart, I would never have taken action. So for me the answer to the above question is a resounding YES. My hope and sincere belief is that REFRAME WEIGHT LOSS can also provide YOU with the same motivation to achieve your goals. It is written in a very easy to read, conversational way and is pack filled with information, knowledge, ideas, tips and tools which will refresh and revive the most determined “But, I’ve given up!” reader. I feel very excited to be talking about it with you, at last. Thanks for reading today and I would love to hear your feedback, if you do obtain yourself a copy of my book. You can email me, contact me on Facebook or Twitter or just leave a comment, right here. I’d love to hear from you. Don’t forget to use your early bird discount coupon, EL85R, to receive the special opening offer!! Also if you yourself are the author of a weight loss blog, please feel free to pass on this discount coupon offer to your readers also. You don’t need to contact me first (but please do if you’d like to),you can just go ahead and pass on the special coupon to your readers. Comments Off on Weight Loss Books and Other Good News: My Ebook is Published!